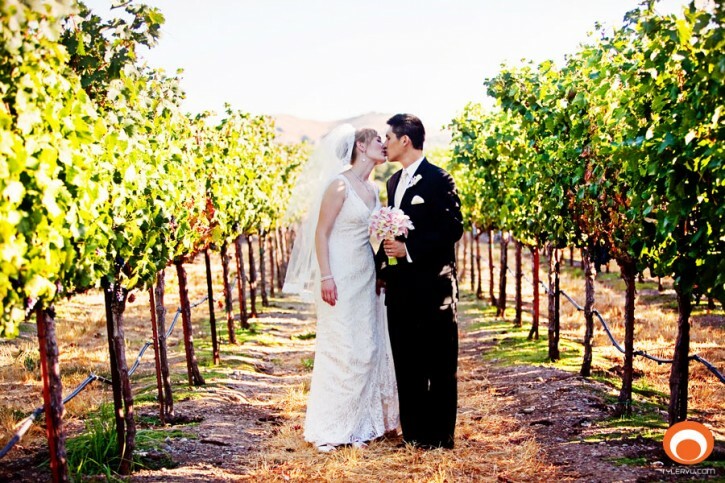 Bethany contacted us from Washington and secured her date for her wedding at Casa Real at the iconic Ruby Hill Winery. 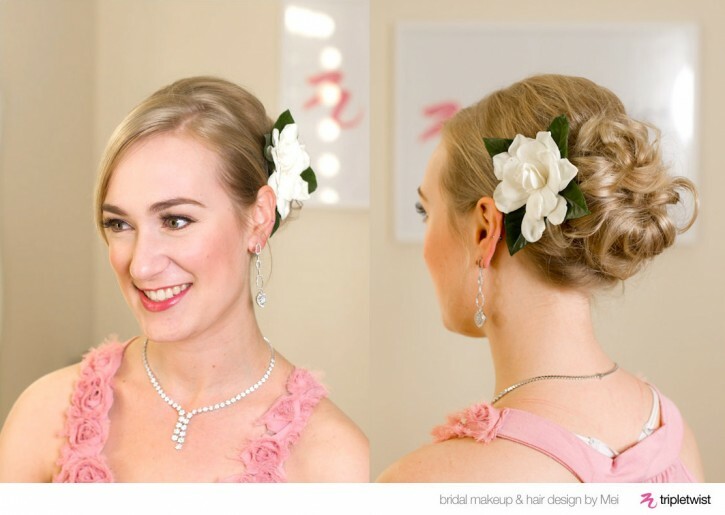 Her vision was elegant, natural makeup and a graceful updo with a gardenia to compliment her beautiful wedding dress and Tiffany jewelry. We loved hearing about how she met Gary and their plans for the future. Casa Real wedding photos courtesy of the very talented Tyler Vu. 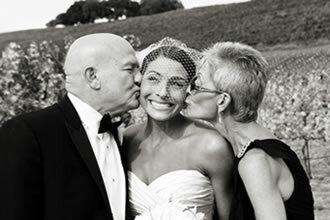 Robert snapped this trial photo and emailed it same day, a free service included as part of our bridal trials. 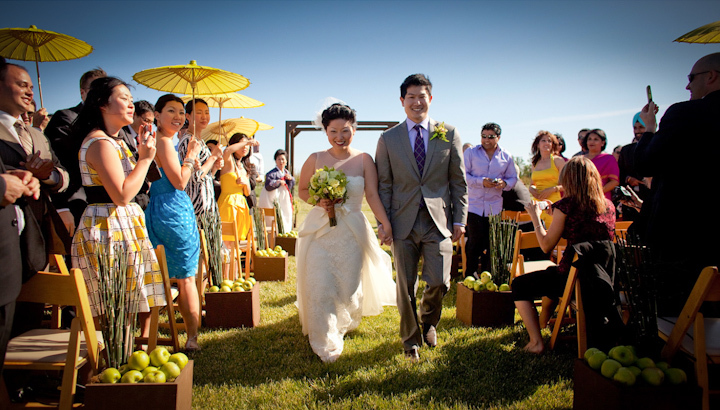 We met Julie early this year at her bridal trial for her wedding at Bear Flag Farm, just a few miles from the UC Davis Campus in Winters, CA. 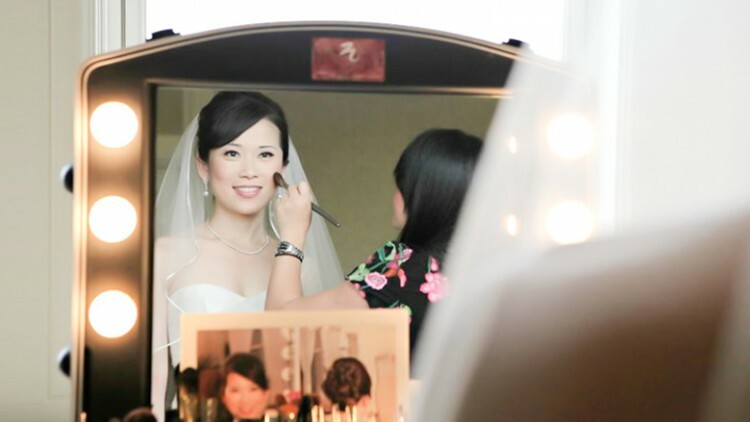 After we got ready at their bridal suite, Julie worked with Mei on the farm for some quick touch-ups. 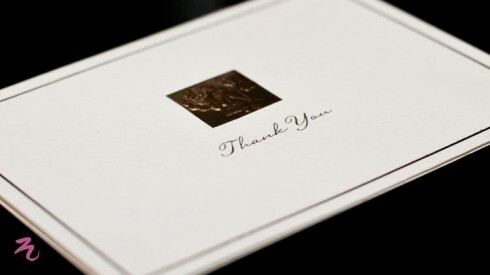 It was our pleasure working with you! Kellie was great to work with! You’re welcome. Our on-location service is amazing. 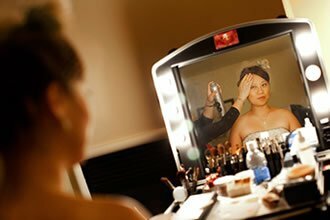 We arrive with a complete mobile studio to your home or hotel suite – it’s a luxury that allows you to choose when and where you would like to get ready for your big day. Triple Twist On Location at the Ritz Carlton Half Moon Bay. Triple Twist On Location at the Claremont Resort and Spa in Berkeley, CA. Triple Twist On Location at the InterContinental Hotel in San Francisco. We arrive with our lighted Italian-made makeup table with a mirror, director chairs and everything else needed to provide full-service makeup and hair application. All of our equipment is disinfected prior to use, and our makeup table (which is cleaned after each use) provides a clean surface for our tools. 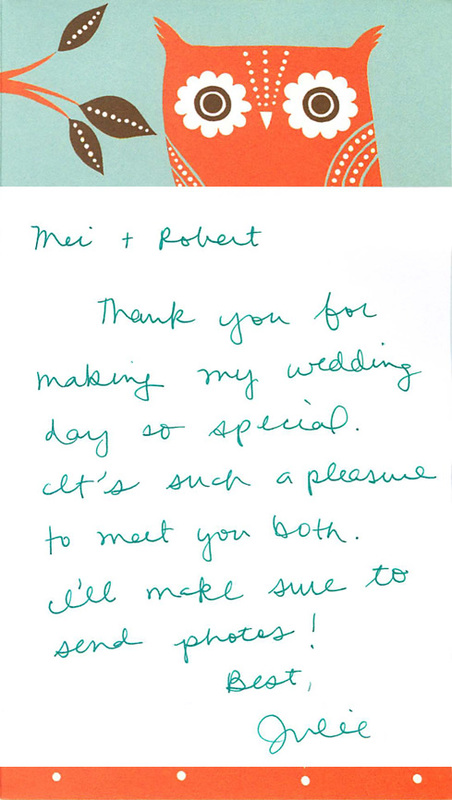 By having us come to you, you can forget about getting up early, stressing about traffic and parking to our studio before your ceremony. The plug is on the other side of the room? We have extension cords, power strips, and even gaffer tape to make sure no one is inconvenienced. Low light room? 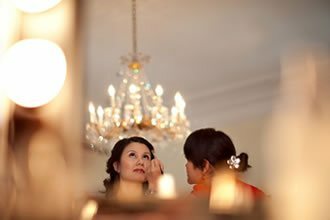 Our vanity of lights will evenly light your face, ensuring perfect makeup in any environment. No high chairs? We have comfortable, solid wood director chairs. The only mirror is in the bathroom? Our table has a mirror, allowing us to get you ready anywhere. The entire setup is quickly and quietly installed and setup in about 12 minutes, all before your start time. After we are done, we immediately store the equipment and collapse the kits, and are off so you can focus on the rest of your preparation. Save time, alleviate stress, and be pampered on the most important day of your life, all at rates that are very affordable. 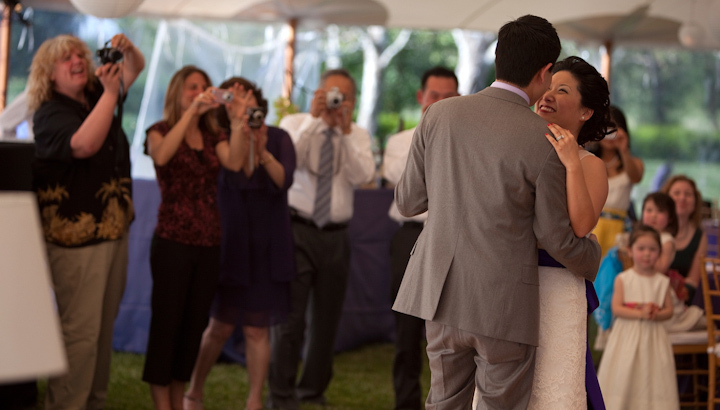 We get constant feedback from videographers, photographers and brides about how much they love the look and feel of the table, lights, and action. If you want the best ‘behind-the-scenes-get-ready’ shots, our lighted Italian makeup table as a beautiful, timeless prop. Our on-location kit looks stunning in your wedding photos. 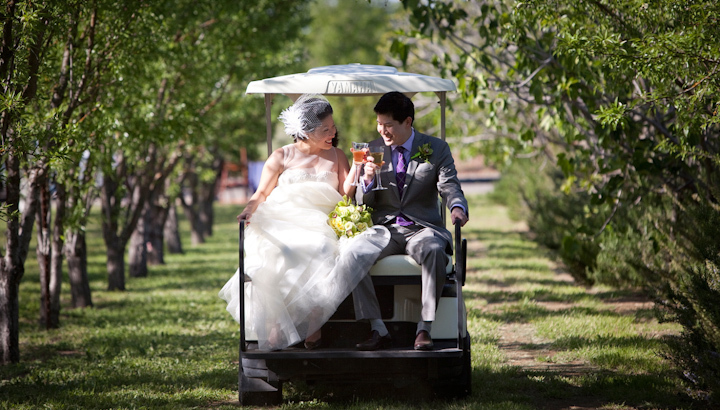 Affordable luxury – on location services. Includes Italian makeup table, vanity lights, mirrors, director’s chair, and more. Have questions? Call us at 888-865-6960. Check availability to learn about our pricing and packages. 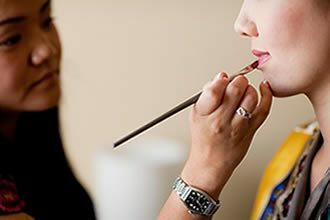 Mei is an Emmy Award-winning, former Cirque du Soleil star artist who now focuses exclusively on beauty makeup and precision hair designs. 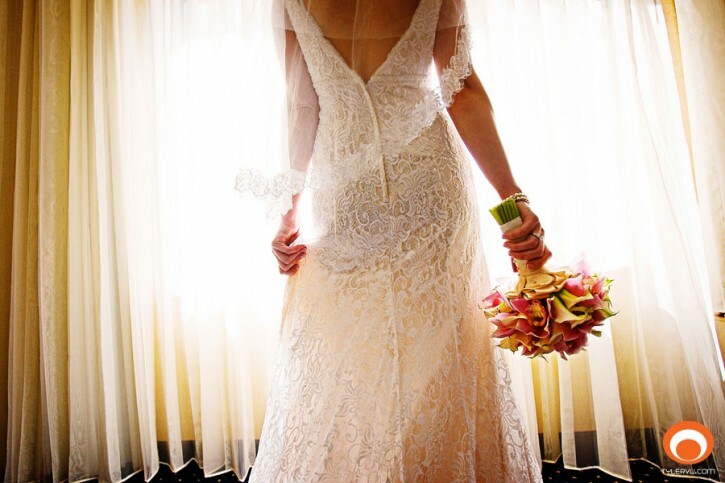 With over 20 years of experience, you are in the best hands on the biggest day of your life. We arrive with a chic Italian makeup table and director chairs to provide the most comfortable setting for your special day. 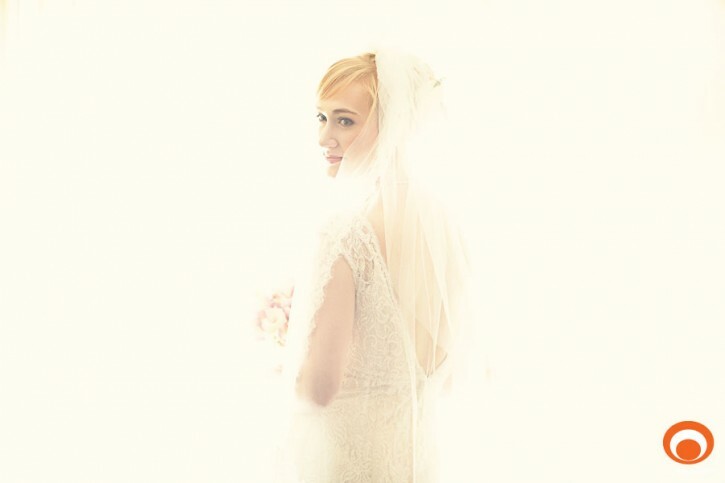 Photographers love the amazing lighted backdrop for your pre-ceremony shots. 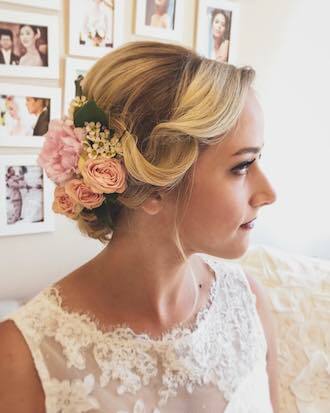 Our one-on-one bridal trial is designed to make you feel your absolute best in a peaceful, stress-free atmosphere in our Union Square bridal studio. Discuss your vision and goals with Mei for a natural, beautiful look. Feel free to contact us or call at 888-865-6960. 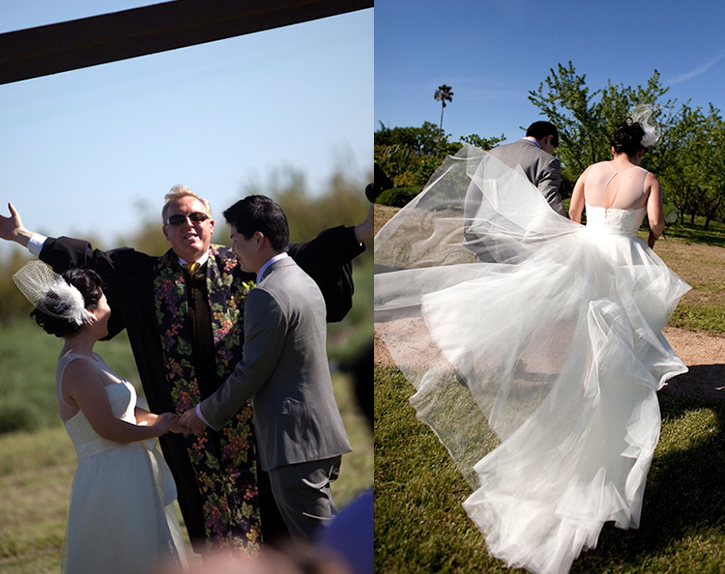 Triple Twist was founded in 2007 by wife-and-husband duo Mei Zhou (founder, head artist) and Robert Thompson (operations). 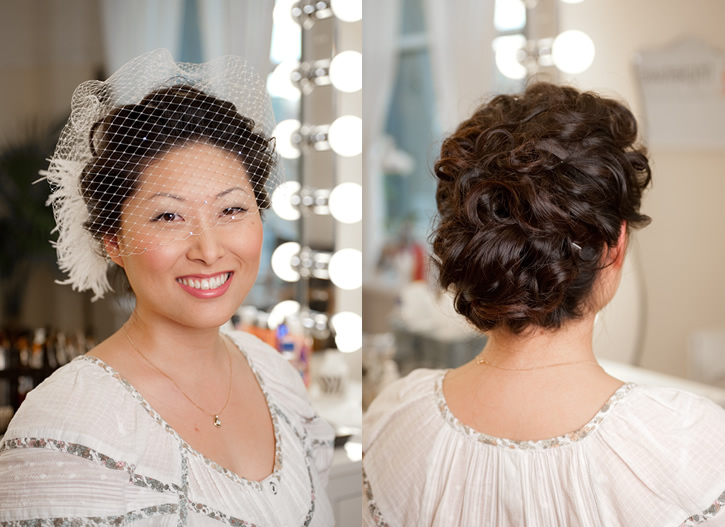 Mei and her team of stylists provide professional wedding hair and makeup in her San Francisco Union Square studio and on location servicing all of Northern California. 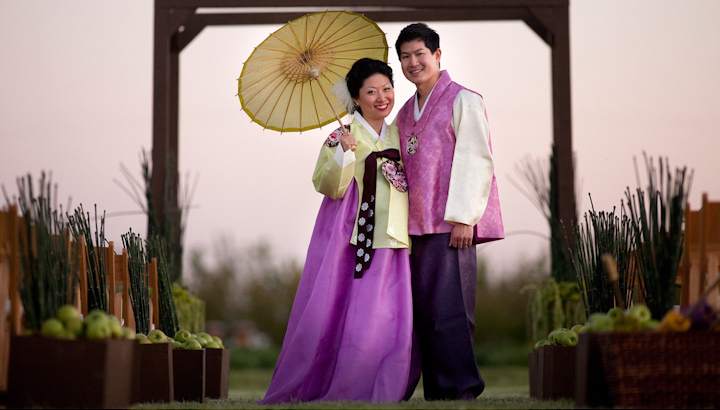 We have had the pleasure of working with local and international brides throughout Northern California and Hawaii, including San Francisco, Napa, Marin, San Jose, Monterey, Carmel, Woodside, Dublin, San Ramon, Atherton, Livermore, Mendocino, Half Moon Bay, Yosemite, Tiburon, Berkeley, Lake Tahoe, Los Angeles and Kauai. 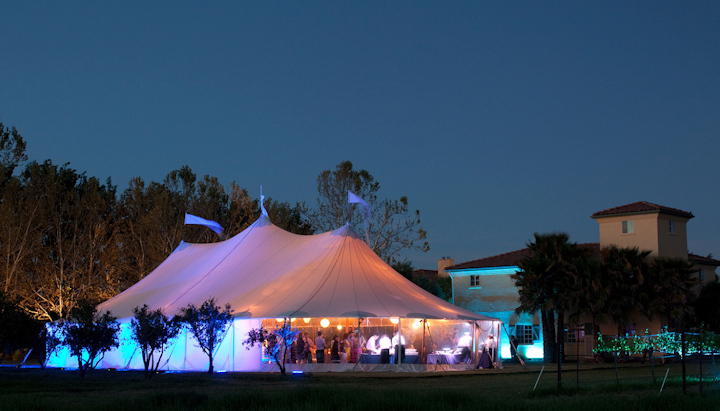 We have worked at every major venue in the Bay Area, including: the Palace Hotel, Fairmont, Ritz-Carlton, Omni, Mandarin Oriental, Hotel Vitale, and beautiful destinations such as Bear Flag Farm, Auberge du Soleil, Stonepine Estates, and Holman Ranch.